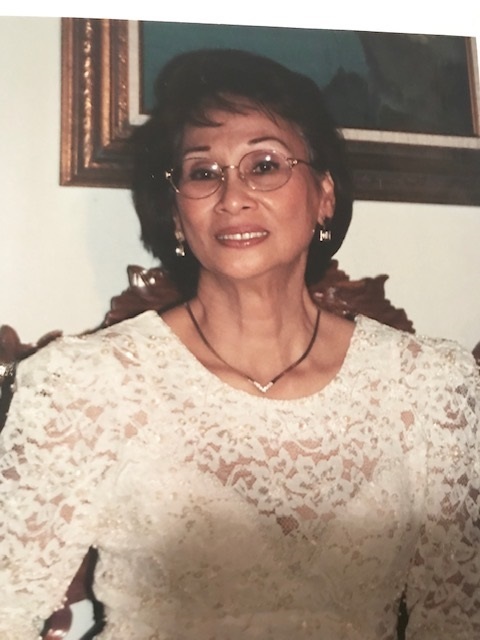 CARMELITA PARAISO SALAZAR, 87 of Wahiawa, passed away on April 2, 2019 in Wahiawa. She was born in Lumban, Laguna, Philippines. She is survived by her Husband Carlos; Daughters, Janeth (Alvin) Sulit; Josephine ( Matthew) Sanbei and Jeniffer (Larry) Ordonez; Sons, Alejandro (Evelyn) Salazar and Antonio (Barbara) Salazar; 13 grandchildren. Wake will be 5:30 pm Monday April 22, 2019 at Mililani Memorial Park & Mortuary's Makai Chapel. Prayer service to follow at 6:30 pm. Mass will be 11:00 am Tuesday April 23, 2019 at St. Joseph Catholic Church. Burial to follow at 12:30 pm at Mililani Memorial Park & Mortuary.